I’m obsessed with Trader Joe’s. I love how friendly they are, how they have samples all the time and their large variety of cheeses. The other day I even found tiny brie wheels! I’m not quite sure what it is about miniature food, but call me obsessed because I love it! If all food came miniaturized I would legitimately use those tiny shopping carts meant for kids and fill them up with more than just two items. I don’t actually use the miniature shopping carts. Sometimes when it’s super close to closing time, I’ll longingly stroke one, but only when there’s no one else in the store. 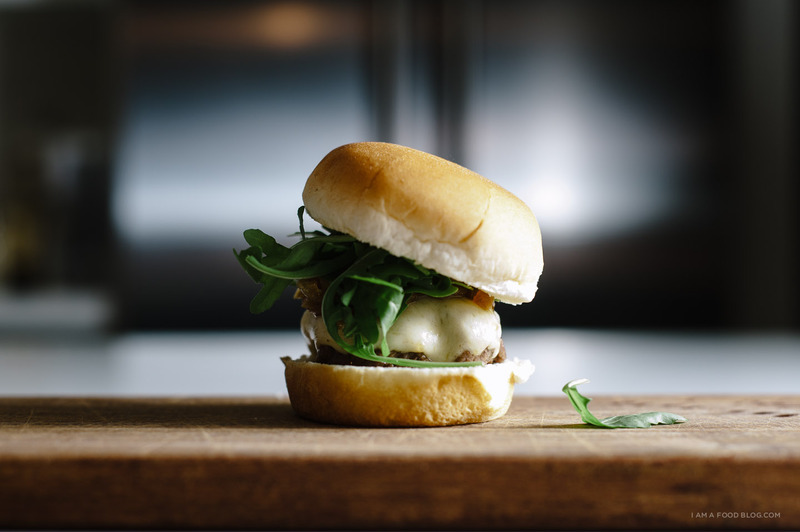 The other day, after I surreptitiously petted a mini-cart, I picked up some smoked mozzarella, ground chuck and arugula for another one of my miniature obsessions: sliders. 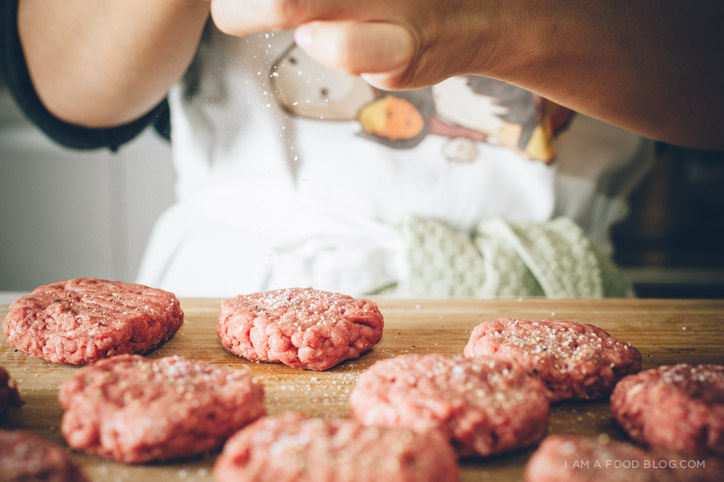 These sliders are simple super simple: just pat ground chuck into tiny patties and fry them up. 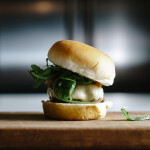 Top them off with caramelized onions, smoked mozzarella and arugula and call it a day. I love the slight bitterness of the arugula next to the sweet caramelized onions. If I can’t use miniature carts at least I can make miniature burgers. Win! Heat up the oil over medium-low to low heat in a medium sized pot. Add the sliced onions and caramelize until deeply golden brown, 20-30 minutes. This is pretty hands off, all you need to do is stir it every so often. 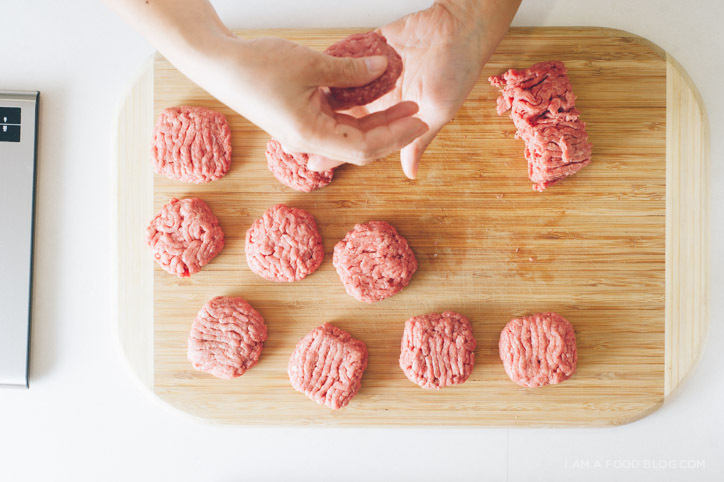 Divide the beef into 12 equal portions and gently form into patties. 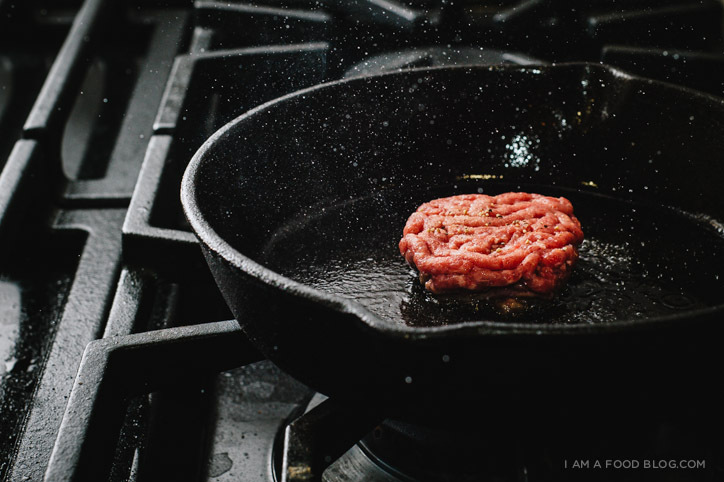 Heat a cast iron pan over medium-high heat and add several patties, making sure not to over-crowd. Cook until golden brown and then flip, add the cheese, cover continue to cook until the burger is cooked through. While the burgers are cooking, toast the buns. 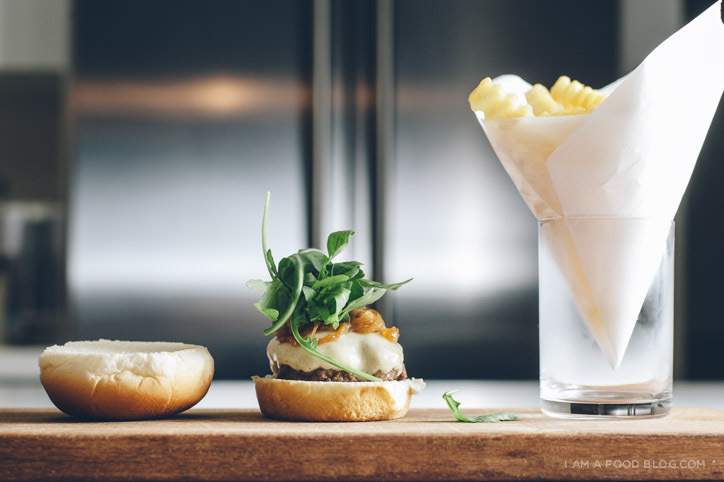 Assemble by placing the burgers on the buns and topping with caramelized onions and arugula. Enjoy hot! The slider buns you’ve got here look so legit! Source? TJs makes the BEST burger buns, but obvi in regular burger size. I too love TJ’s, especially their cheese section, and one time a kid ran over my heel with his miniature cart….. I was about to buy four bottles of cheap, delicious champagne, though, so I tried not to be too angry. I love your flavor combos here! Love mini thing especially burgers. I have no idea about burger buns from the USA But in Australia you have to make your own to get good ones. That last picture is awesome; the oil and frying the burger simply magnificent! Wow excellent entry. I love TJ’s too! I really like the photograph, especially the cast iron shot with all the splatter. Keep up the good work.